We face a moment of global urgency. Climate change threatens the very existence of human nature and yet, despite an endless stream of empirical data that confirms this fact, we are paralyzed by a staggering fear of our uncertain future. What we need is to incite the dynamism of our emotional intelligence in ways that draw us into the pulse of our natural world and awaken our spirit. We need to examine the sounds that connect us, the rhythms we share. How are our bodies and minds enmeshed with the patterns of nature? How can we tune in to its’ tempo in order to better understand our impact on the natural world? The artists in EnterState: Sensing the Natural World explore connectivity, biology, nature, and ecology. Their varied practices emerge from a place of curiosity, experimentation, and whimsy, asking us to enter into a place of wonder in order to sense, touch, and hear the natural world more intimately. 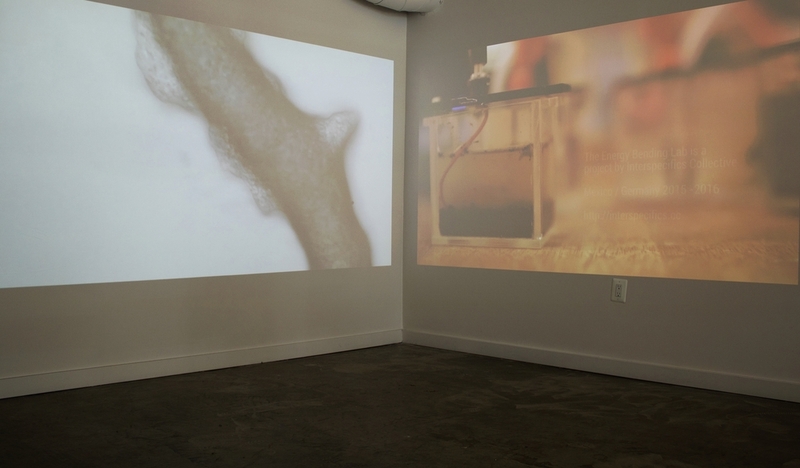 The work of Interspecifics Collective exists at the intersection of art and science. They translate the electrical signals generated by different bacteria and microorganisms into alluring sounds and rhythmic patterns. On opening night, they will present a 15-minute performance using bacteria from our nation’s capitol. The curious experiments of Alex Arzt allow us to touch and be touched by nature. Here she presents a soap sculpture composed from elements gleaned from Richmond's James River waterbed. Viewers are encouraged to wash themselves with it as a reminder that we are not separate from the natural world but rather deeply connected to it. 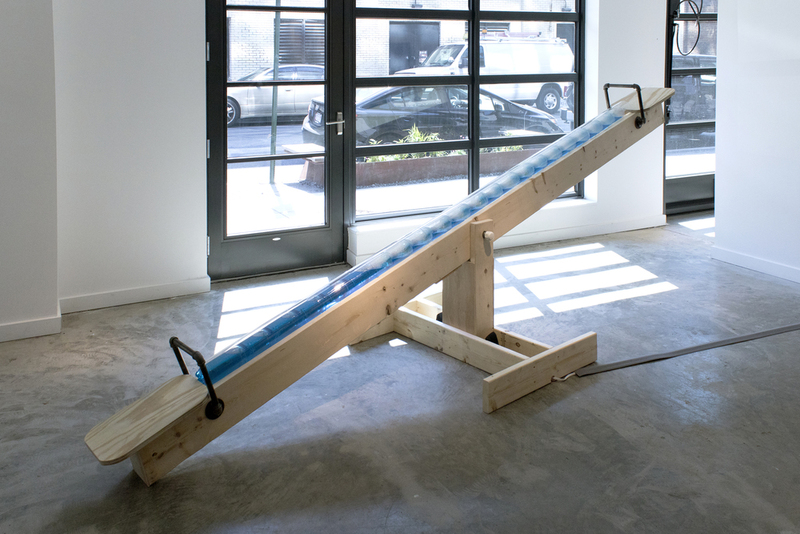 Laure Drogoul’s Teetering x Tottering (on the brink) builds an awareness of water as a common resource by inviting viewers to play on a kinetic sculpture—a seesaw filled with lighted water bottles. While playfully balancing on the sculpture, participants activate the exchange of water from one region to another, triggering an audio response of field recordings from fish in the Chesapeake Bay. Rhythmic and sonic, the work positions audience members directly in line with the cycles of the nature. Hope Ginsburg’s Breathing on Land seeks to refocus attention on the relationship between the health of our bodies and our atmosphere. The sound of the artist’s breath in the scuba gear evokes a meditative chant and as we become aware of our own breathing we are reminded of the vast oceans that once filed the sandy deserts of Quatar where Ginsburg’s performance is situated. The work foreshadows the daunting challenge of survival amidst environmental adversity, and the need to awaken to the reality of environmental change and the action it requires. EnterState delves into the fabric of nature in ways that are both visceral and tactile. The artists whose works are presented here are reframing our relationship to the environment through forms centered on intimate connection and sensory experience.